The HypnoBirthing International Program gets the thumbs up from Australian families as the BEST HypnoBirthing and premium childbirth program on offer. When choosing an antenatal class for the birth of your baby, you want to be sure that you are getting the very best in education and preparation. The HypnoBirthing International (Mongan Method) program here in Australia offers a professional and comprehensive program that meets Australian Educational Standards and continually adapts to reflect the Australian Maternity Models of Care. We understand that it is a little confusing now as there are other ‘hypnobirthing’ programs available, claiming that they are the HypnoBirthing Australian version, and we’ve had many emails from confused parents asking the difference. So here is the answer to the question so many are asking. Like in any industry, when a product or service is so successful, people copy it, then ride on the coat tails of that success. Flattering actually, but that’s the bottom line. We believe it is unethical to copy someones work, pretend it is yours and mislead the public with clever marketing campaigns. 1. Australian Midwives love HypnoBirthing and are choosing HypnoBirthing International (the Mongan Method) over the other available programs! Australian midwives prefer the HypnoBirthing International program over other available programs because they are at the forefront of birth and see the positive outcomes from HypnoBirthing and the huge difference it is making for birthing couples. Hundreds of midwives have been attending our 1 Day Workshops running in each state of Australia, on how to properly support a HypnoBirthing mother and their feedback shows their overwhelming support for our premium program. We boast that nearly half of our practitioner base in Australia now are midwives. 2. The HypnoBirthing International program is evidence based and recommended by Australian hospitals, obstetricians, midwives and health professionals! This is important, as you can take confidence from the results and that the HypnoBirthing International program is the only researched and evidenced based HypnoBirthing program in Australia and worldwide. The program is running in 5 Australian hospitals, with more hospitals starting up programs, because of the significant reductions in the need for chemical inductions, pain medications, c-sections and epidurals . HypnoBirthing mothers have a shorter labour by an average of 3 hours for first time mums. Certified Practitioners display this Gold Seal which shows they are certified and affiliated with the HypnoBirthing Institute. The ONLY Internationally recognised HypnoBirthing Qualification. Look for the capital B in HypnoBirthing! 3. Our Practitioners Go Through Extensive Face to Face Training to Ensure You Get the Very Best Childbirth Educators. We have 160 highly experienced trained Gold Seal Practitioners in Australia! All of our practitioners go through an extensive face to face training program, and complete just over 100 hours of study and assessments to gain their certification. All practitioners are trained by the HypnoBirthing Institutes Faculty, and are required to re-certify each year. None of our training takes place online, as we believe face to face training is imperative for a practitioner to be able to confidently deliver the program successfully to each couple. We have practitioners Australia wide, so we will be able to work with you. That’s what is unique about our program and assures you the highest quality and professionalism in practitioner. 4. Parents Benefit More from the HypnoBirthing International 5 Session Program Format! When you book into a HypnoBirthing International course, you can be sure that you will receive the full program in its set format. Run over 5 weeks, the program takes a couple through the process of eliminating previous programming, educating with up to date, relevant information on birth, as well as all the techniques to fill your cup with confidence and techniques, and empower both you and your partner to have a more positive experience, whatever turn your birthing takes. All of our Gold Seal Practitioners follow this format because after 26 years of running it, we know it works. We have flexibility for couples with special circumstances, but we won’t be offering you a weekend crash course to line our pockets with some extra cash, as there is way too much learning in this comprehensive program to really be absorbed over a weekend . Our focus is on you going through this transformative program and being prepared completely. We know you are busy, but we also know you want a quality program that is going to get you the results you are looking for. 5. You receive much more than a 5 week course – Ongoing Support is the key to success. When you book into our course you won’t be waved goodbye and good luck at the end of the 5 sessions, as each of our practitioners gives you an ongoing continuity of care, which means you will have continued support up until the birth, and post-natally. We want to ensure that you have understood and adapted all of the techniques, and have support for any circumstances that may arise. This level of nurturing and care, is something you won’t get from an online course, or other courses. We pride ourselves in a more personal approach to support parents through this wonderful experience of pregnancy and birth, and helps you settle into that delicate time after birth feeling supported. 6. Enjoy Our New Syllabus, HypnoBirthing Book and Resources! Our program is continuously being updated and improved to ensure that you are receiving the most up to date information from research and models of care. Every HypnoBirthing International couple worldwide receive the New 4th Edition HypnoBirthing Book, Rainbow Relaxation MP3, Birth Rehearsal CD, handouts and gifts, and you become part of a larger birthing community enjoying continuous support and information. All our resources are modern and the new training syllabus that was released in January 2016 reflects the latest in research and Australian Maternity Models of Care. In Australia, we teach from the Australian syllabus. As the program is in 46 countries, we can also offer the materials in other languages, so if English is not your native language, let us know. 7. We teach couples techniques to support for whatever turn the birthing takes! We educate and prepare you for a positive birth experience. Birth is unpredictable, and we give you tools and techniques to be prepared for any scenario in birth, so that you can make the best decisions and lead the birth down a road that is not intervened unnecessarily. If you are required to have a caesarean, our course is still relevant to you, and we have lots of resources and materials to support you for any special circumstance. In the HypnoBirthing International program, you will learn about all your options. We support couples wherever they choose to birth, and however they choose to birth. 8. We have Mp3 Relaxations & Products for Pregnancy, Birth and Postnatally & an Australian Distribution Centre! We have a wide range of hypnosis tracks and products available for our parents, so you can be sure you have the resources to support you right through to parenthood. Should your birthing take a turn, and you require a c-section, there are mp3’s available specific to ensure you have the most positive mindset and preparation. Our MP3’s are available in Australian accents, but are available in other accents and languages if you’d prefer. Our new Australian Distribution Centre has just opened, so you can now buy our products directly from Australia, saving you money, with no waiting! 9. A network of birth professionals Australia wide to support you. HypnoBirthing International in Australia have a large network and strong relationship with other health professionals. We have our‘Supportive Providers Directory‘, where our families have access to hundreds of other services for pregnancy, birth and the postnatal period. Our practitioners are linked to that network, so we can ensure you get the best of care whatever your needs. Many of our practitioners are facilitators for the positive birth movement, so are regularly connecting with like minded professionals and families. We have a large team running the Australian division of HypnoBirthing International. Our 12 Steering Committee members consists of midwives, hypnotherapists, naturopath, nutritionist, specialised prenatal yoga instructors, reiki master and sleep expert with many years of combined experience, and are actively involved working with progressive groups in Australia to advocate for birth choices. 10. 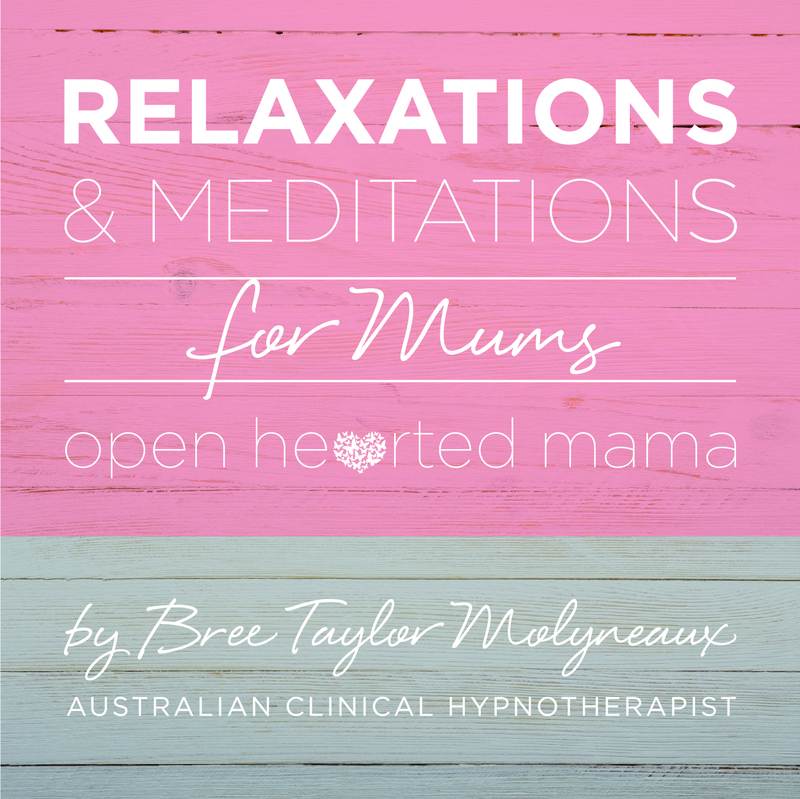 Don’t just take our word for it – Read what thousands of Australian families have experienced and why they love and promote HypnoBirthing International! As quoted in recent media, the HypnoBirthing International program is now reaching in excess of 5000 couples per year! That’s a lot of HypnoBirthing Babies out there! You can read many of their birth stories and hundreds of testimonials on our website and find out for yourself just how powerful this program is for a positive birth! Hear from the Dad’s / Partners too, as this course is changing the birth experience for partners and giving them a really important role to play in the birth of their child. Many of our parents go on to do their practitioner training to spread this message of calm and empowered birth, which is one of the greatest compliments one can give! HypnoBirthing International features in the media in Australia and Internationally regularly. If you want to learn more about the program, jump into the website and the‘Getting Started’ section to learn how HypnoBirthing can help you and your partner prepare. Or read more about private sessions with me in Brisbane here. Make the best choice for your family by making sure your practitioner has the Gold Seal so you know are getting the very BEST in HypnoBirthing Childbirth Education, and not being mislead by one of the copy-cat programs. This article was originally posted on the HypnoBirthing International website 2016. Shared with permission.